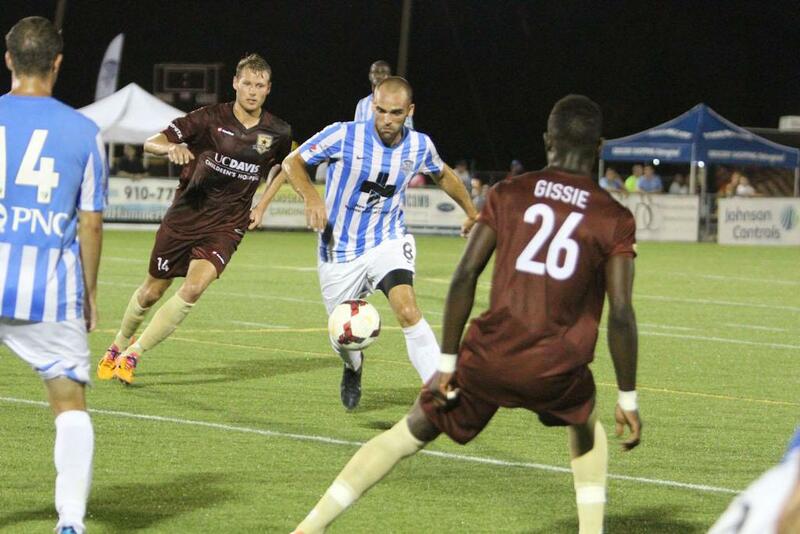 Republic FC came out of the gates strong, pressuring the Wilmington defense and creating opportunities. The first strong chance for Republic FC came in the 4th minute when midfielder Max Alvarez controlled the ball in the middle of the field then sent a ball wide right where it was immediately swung back in front of goal. Forward Adam Jahn took a run at the ball, but it was just past his sliding try and was saved by Wilmington goalkeeper Brad Stuver. Republic FC would again challenge Stuver in the 36th minute when defender James Kiffe sent a cross into the middle of the box. The ball was cleared by Wilmington, but right to the feet of midfielder Rodrigo Lopez who gave the ball up to Jahn who slid the ball into fellow forward Chad Bartlomé in the middle of the box. 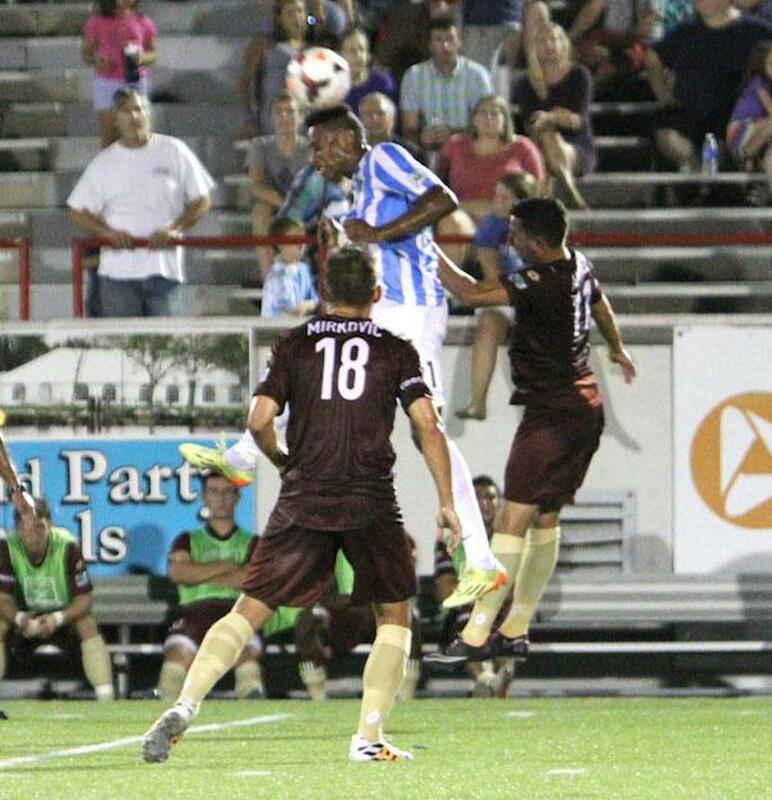 Bartlomé settled the ball and sent a rocket towards goal, but it went just over the bar. In the 40th minute Alvarez was fouled in the middle of the field setting up a long free kick. Lopez and Alvarez both stood over the ball but it was Alvarez who sent a line drive shot toward the upper right corner of the goal forcing Stuver to make and incredible diving save keeping the score 0-0 going into the half. The second half started slow with both sides trying to feel each other out. Republic FC had the first strong opportunity at goal in the 60th minute when Republic FC worked the ball up the middle of the field with constant, quick passes. Jahn would receive the last pass and put an open shot towards goal, but was called offside. Wilmington seemed to receive a spark off the bench and pressured Republic FC’s defense for the final 15 minutes of the match. In the 76th minute Republic FC goalkeeper Jake Gleeson made a great save after midfielder Corben Bone slipped behind the defense and went one-on-one. Gleeson charged off his line and deflected the shot off his chest keeping the score at 0-0. Wilmington had their best chance at a goal in the 90th minute after a cleared corner kick by Republic FC led to a counter attack breakaway for Wilmington. The attack looked to be going one-on-one with Gleeson again, but Kiffe made a strong run from behind the play and was able deflect the ball out of bounds at the last second. "We felt like we really should have put them away in the first half and ultimately, are very disappointed with this result," said Bartlomé following the match. "That being said, we still feel very positive about the way are playing and are looking forward to our last two matches of the season at home in front of our amazing crowd." 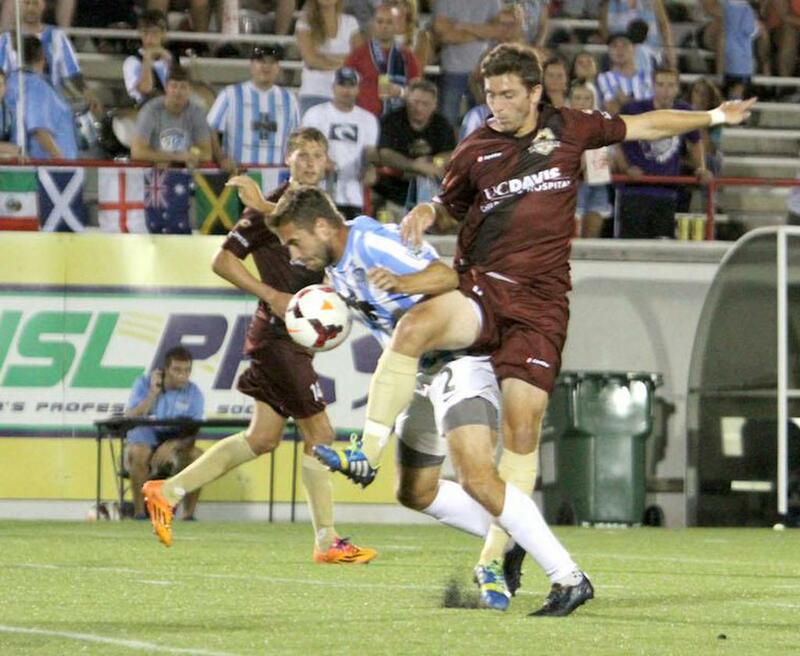 The scoreless draw is the second for Republic FC this season and the second of their nine-match unbeaten streak. The shutout was the fifth for Gleeson who lowered his goals against average to below zero and has allowed just three goals in his last seven appearances. 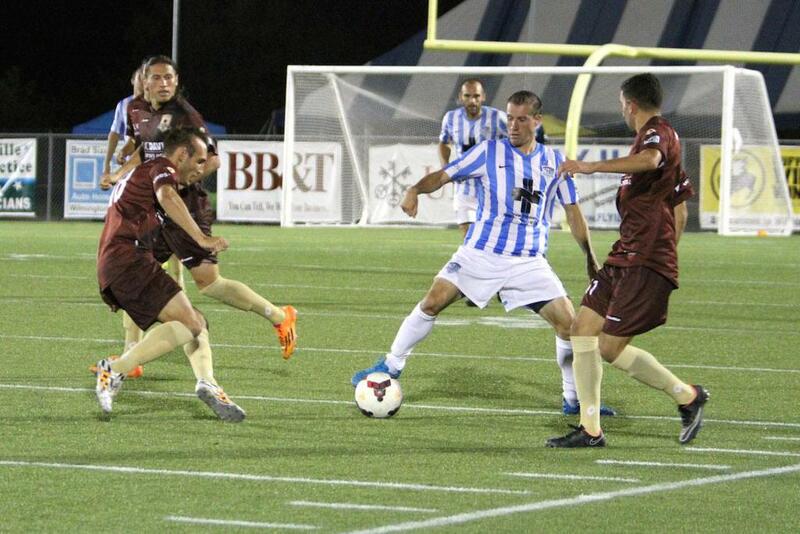 Republic FC will return home to face Oklahoma City Energy FC on 80's Night at Bonney Field. Kickoff is scheduled for 7:30 p.m. PST on Thursday, September 4. Tickets are still available for the match and can be purchased at Ticketmaster.com. The match will be broadcast at SacRepublicFC.com/matchday and updates will be provided on Twitter @SacRepublicFC and using the hashtag #SRFCvOKC. Misconduct Summary: WILM: Brian Ackley (caution) 39, Paul Nicholson (caution) 81, Ross Tomaselli (caution) 83. 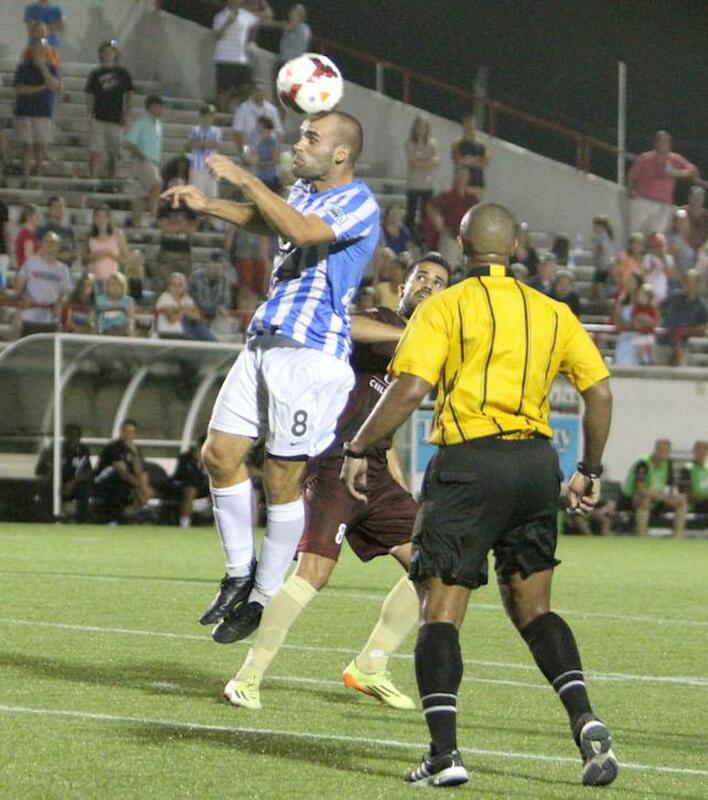 Wilmington Hammerheads FC – Brad Stuver; Troy Cole, Ashani Faircloth, Christian Davidson, Drew Ruggles; Brian Ackley (Paul Nicholson 42), Corben Bone, Sunny Jane (Tom Parratt 68), Mark-Anthony Kaye, Ross Tomaselli (Steven Miller 86); Cody Arnoux (Samuel Ochoa 45). Sacramento Republic FC – Jake Gleeson; Emrah Klimenta, Mickey Daly, Nemenja Vuković, James Kiffe; Octavio Guzman (Gabe Gissie 60), Ivan Mirković, Max Alvarez (Gilberto 60), Rodrigo Lopez; Chad Bartlomé (Dakota Collins 66), Adam Jahn (Steven Evans 82).